From the You screen you will see a small green tab on the left hand side of the screen. 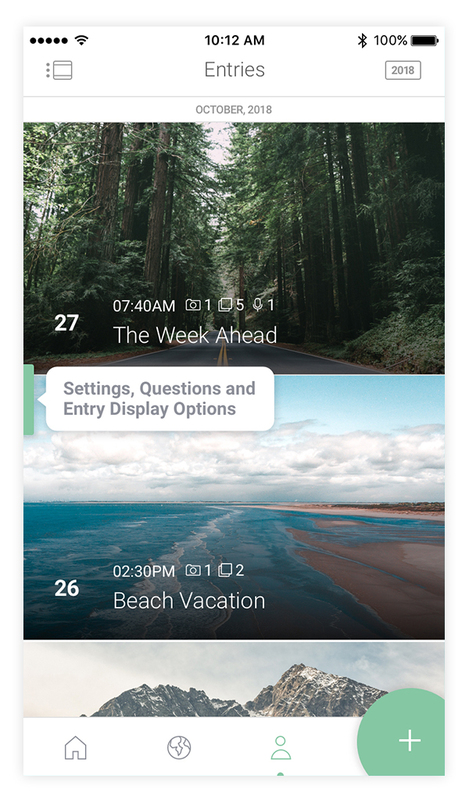 By swiping right on that tab you will access your Settings, Saved Questions and Entry Display options. 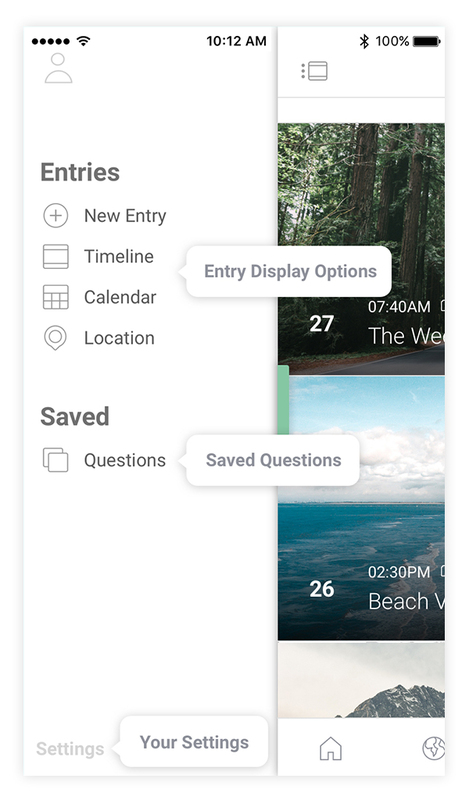 The first group of menu items are your entry display options which allow you to create a new entry or view your entries by Timeline, Calendar and Location. You can read more about these options here. 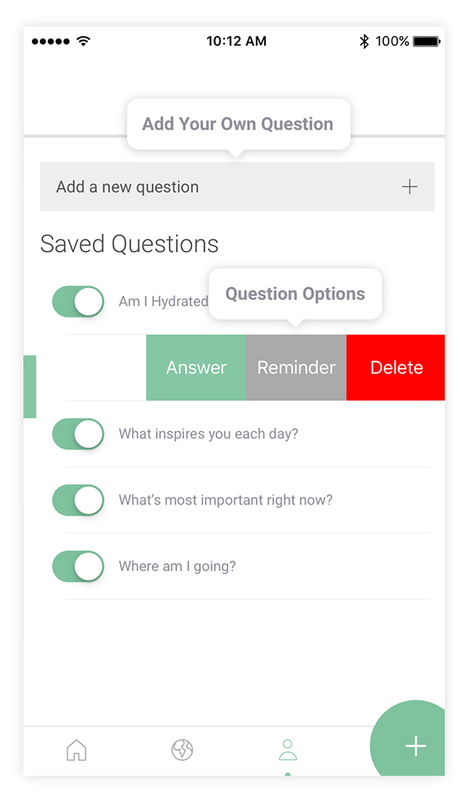 To the left of your questions you can also toggle the question on and off. This will allow you to keep a question in your saved questions, but turn it off if you don’t want to use it at the moment. Any questions toggled on in your Saved Questions will appear when you create a new entry and ‘Answer Saved Question’. The last link you’ll see at the bottom left of the screen is a link to your Settings. 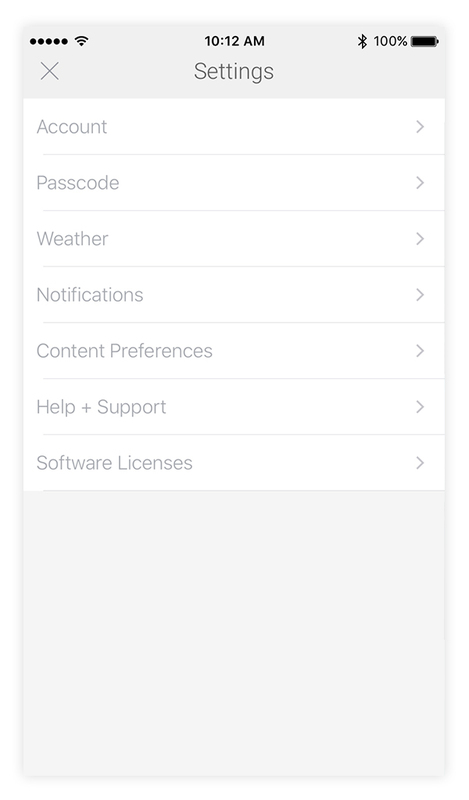 Here you can view your account, add a passcode, manage notifications, preferences and more.